We emphasize techniques that empower you to become your own therapist. I am 63 years old and had been experiencing significant problems with my left knee–swelling and some fluid build up. Prior to this problem, I had been an active participant in biking, swimming and running. However, this knee problem stopped all running and reduced my biking to short rides once or twice a month. Nathan applied a specific therapy which was scraping of the IT band. After 6 weeks I began training again with some moderate biking and running. 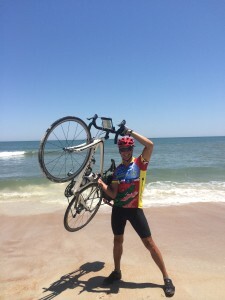 The knee had no problems so I increased the training to prepare for a Trans-America bike ride. I completed the 3,000 mile ride and my knee felt great. I’ve also recently competed in a sprint triathlon–finishing 2nd in my age group. Nathan Tumlison is a awesome Physical Therapist! !